Great advice for your business. Acre Accountancy Limited was established in Hereford in 2010 and today, we continue to build on our reputation for providing excellent advice and first class service to our client portfolios. We have many clients of a wide range of business forms and size in many different industries including unincorporated to large corporate companies, trusts, estates and charities. As well as accountancy, audit and tax skills, our four directors also have individual specialisms which enable us to provide clients with a first class tailored service. 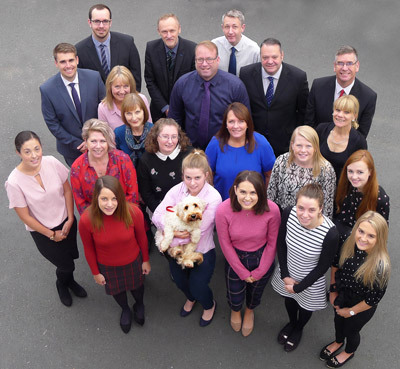 With a wealth of extensive experience in the accountancy profession, we pride ourselves on delivering a high-quality service to all of our clients, whatever their size or sector. In addition to traditional accountancy services we also provide advice on how to improve and develop your business. Whether you need an integrated business strategy, access to corporate finance or specialist tax advice we are here to help you achieve your goals. 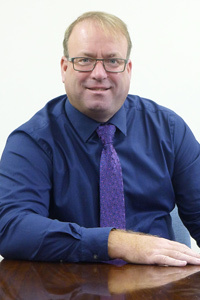 Although formally trained and with a strong background in audit and assurance, Russ has extensively worked with business owners in analysing their existing business and forecasting for future business models. Russ never loses sight of the big picture and will always keep it simple and understandable. His aim is to help business owners to achieve their goals by giving practical common-sense advice. In his spare time Russell enjoys motorsport and swims for fitness. 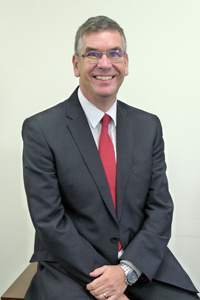 Robin specialises in advising larger corporate organisations and professional practices. He has a commercially based, common sense approach to advising his clients. Robin was once British BMX champion in the 80s and would like to resume his love of cycling. He plays squash in his spare time and enjoys spending his holidays in the Costa del Sol. With almost 30 years of experience and expertise in OMB’s, agriculture, education and charities, Mark provides a personable approach to a broad client base. He is also a governor for his local village primary school. 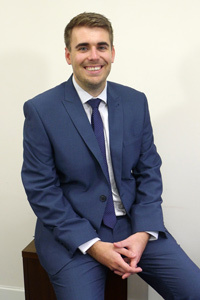 Mark is married with four young children and has an interest in all sports particularly, cricket and football. 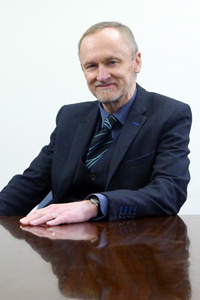 Allan has been in the accounting profession for more than 30 years and set up his own practice in October 2010. He has extensive taxation and business experience, advising owner managed businesses, individuals, partnerships, Landed Estates, Trusts and Charities. 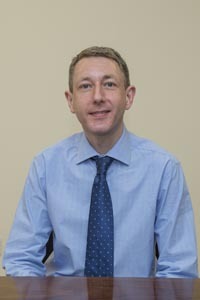 Alongside his client work Allan spends a considerable amount of time as a Trustee for some Charities. He has also been a longstanding Governor for a local High School. In his spare time Allan enjoys going to the theatre and music concerts. He also has a keen interest, together with one of his sons, in designing robots to participate in Robot Wars events. Tracy was our very first employee, joining Acre in 2010. Tracy has worked with the directors for over 20 years and so has a very good working relationship with not only them, but the large majority of our clients. Tracy has a young daughter, so is currently enjoying the delights of being parent taxi to all of her clubs and social engagements! 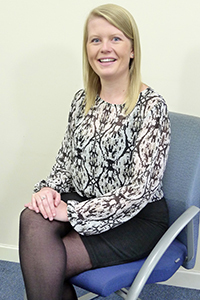 Nikki joined us in January 2012 and is our practice manager. She previously worked as a teaching assistant and still likes to return to the school to help create the school’s classroom displays. Nikki is learning to speak Spanish and enjoys fundraising for local charities. Jane has been with Acre Accountancy since 2013 having previously spent 13 years working with the directors when they were part of a large national firm. 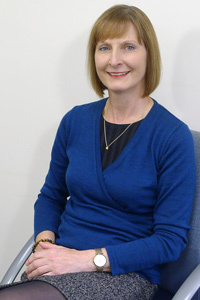 From 2010, she worked as PA to Allan Davies when he set up his own small practice prior to joining Acre. 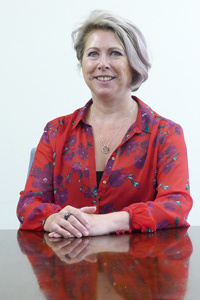 Jane moved to Hereford in 1989, having previously lived in various countries abroad as well as different parts of the UK. She has three independent adult children so consequently more time now to pursue her own interests. Pre children, her main hobby was gliding but post children, she prefers to keep her feet firmly on the ground with her passion for salsa dancing. She also enjoys live music and theatre as well as socialising with friends. 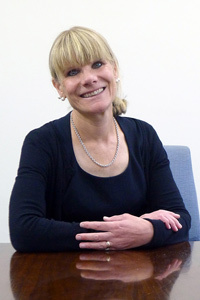 Christine joined Acre in 2015 but previously worked for the directors for 11 years. Working on reception, she meets a lot of our clients, which is a part of her job that she enjoys. Christine has a good working relationship with our clients and enjoys working as part of a team. She has two children who are both teachers, and two young grandchildren who keep her on her toes!! When Christine has time, she enjoys raising money for charities, socialising with friends, likes walking and tries to keep fit! 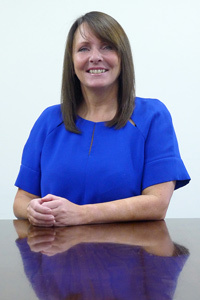 After graduating with a degree in geography from Leeds University, Susannah changed track completely and qualified as a chartered accountant in 1989. Susannah has been employed in practice all her working life. Her main speciality is the agriculture sector. Away from the office, Susannah enjoys watching cricket and is a keen traveller, cyclist and long distance walker, regularly taking part in challenge events around the country. Anna joined Acre in July 2012 and lives in Hereford with her husband and young son. Anna started her career bookkeeping in Industry in 2001 and then moved into practice in 2006. She is in the final stages of studying for her ACCA qualification. Kirsty has worked at Acre since March 2013, joining us with 6 years’ experience in practice. She focuses on audit and accounts for corporate clients as well as other aspects of accounting. Kirsty also has experience on ‘Xero’ converting and training clients. When she is not hard at work, Kirsty is a self-proclaimed dog lover and has a taste for adventure, trying her hands at sky diving, bungee jumping and white water rafting. 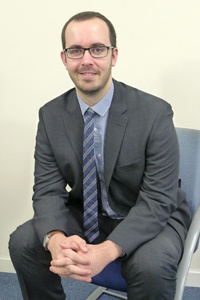 Sam joined Acre Accountancy in November 2013 as part of the merger of Allan Davies Tax & Accounting Limited and Acre. Sam’s experience in practice started in 2005 before qualifying in 2011. 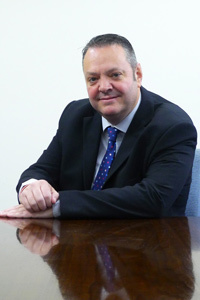 His role at Acre is focused mainly on corporate clients and management of some of the firms audit clients. He prides himself on being approachable and helpful whenever he can, and is very rarely in a bad mood! During the summer of 2018 Sam got married and they now plan to explore as much of the World together as they can, whenever they get the chance. 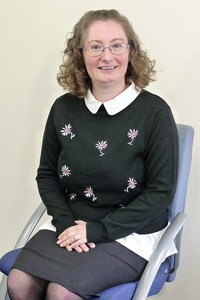 Beth has been with Acre since February 2014 and works within the accounts and audit team. 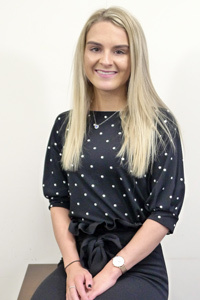 After completing her degree in Financial Management and Accounting at the University of Gloucestershire, she went on to work in industry before deciding to go into practice. She particularly enjoys working with a large variety of clients and the challenges that this brings. Beth has a pet tortoise called Terrance, enjoys travelling to new and exciting countries and taking strolls through the countryside. 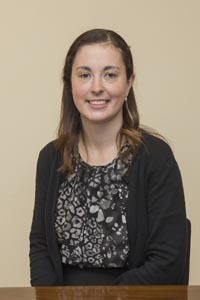 Nicole joined our Accounts and Audit Team in 2015. She has been working in practice since 2012. Nicole also has a lot of experience with 'Xero' converting and training clients. Nicole enjoys socialising with her friends, travelling and watching box sets. Nicole is a big Manchester City fan and has been going to games since before they were good! 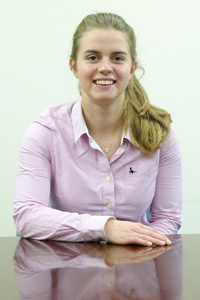 Laura joined the Acre team earlier this year and is currently studying the final exams of her ACCA qualification. Laura enjoys baking, socialising with friends and working out at the gym. Bethan joined Acre in September 2016 as an AAT Apprentice. In her spare time, she enjoys baking and helping out with the sheep on the family farm. She also has a keen interest in Bloodstock Breeding and before joining Acre, spent six months at a stud farm in Cheshire assisting in foaling National Hunt mares. Becky began her career path training to be a midwife before joining us as an apprentice in July 2013. During that short time she delivered 10 babies! She is now studying her AAT qualifications. Becky is a self-proclaimed shopaholic and enjoys walking her dogs (three springer spaniels and a cavachon). Henry joined us in September 2017 as an AAT apprentice. Henry is a keen musician and plays electric guitar and piano, and hopes to achieve his piano grade 8 soon. He enjoys watching sports, particularly rugby, and usually has a book or two on the go. 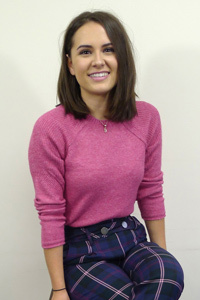 Georgia has just recently joined the Acre Team as an AAT apprentice. Georgia enjoys listening to music and attending music festivals. She likes to spend time socialising with her friends and walking her ‘pug’, named Poppy. Hayden joined the Acre team in 2015 with over 10 years of experience in all aspects of taxation. Outside of Acre, Hayden enjoys watching Liverpool FC and playing a variety of sports including football, squash and snooker. 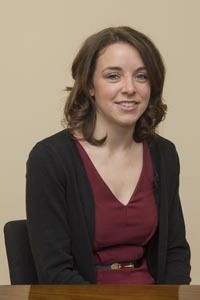 Laura started working in Tax in September 2008 and studied for her AAT at Hereford Technology College. As a Mum of three young children, Laura has worked part time for Acre Accountancy since May 2014.